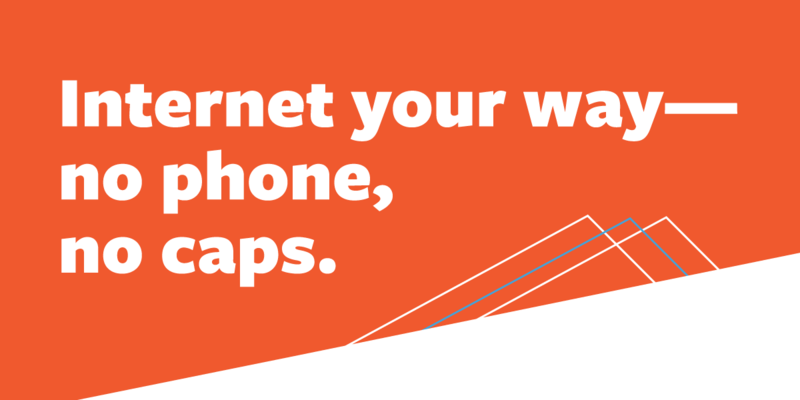 Get the fastest internet connection you need*—without paying for a landline. At PTC, we realize many people no longer have a need for a landline phone. With our fiber network, you can get high speed internet without bundling with our voice service. Enjoy a fast and reliable connection without caps on usage or charges for overages. *Availability of internet speed is based on your location. Not all speeds are available in all areas. Higher speeds are only available on our extensive fiber network. Site survey is required for all new customers and upgrades to determine maximum upload and download capabilities.